The only way you could improve Twin Lakes is if you gave it a better name. 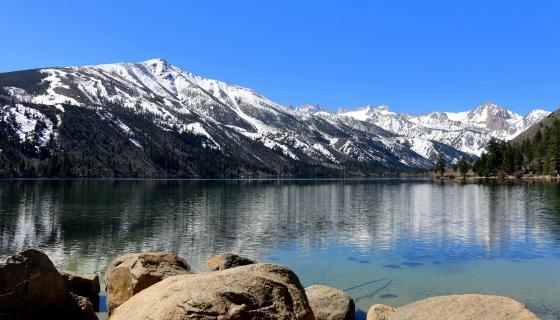 There are two Twin Lakes in Mono County, the set that begins 10 miles outside of Bridgeport are certainly worthy of a more enticing name—or two. Both the Bridgeport Twin Lakes are large. Upper Twin covers nearly 400 acres and Lower Twin more than 250. They are also easy to get to and offer legendary fishing. The boating, camping and cabin rental options at Twin Lakes are top-notch, too. The views the lakes afford, however, are what really distinguish them. The large alpine lakes are lined by evergreens and run along what is often called the “Californian Alps;” the Sawtooth Ridge and Sierra Crest, which divide the Twin Lakes Basin from Yosemite National Park. While the Twin Lakes Basin is certainly beautiful, it’s also home to some of the best trout fishing in the Golden State. The state record brown trout—weighing in at 26 pounds, 8 ounces—was caught in Upper Twin in 1987. That fish knocked off the reigning champ, which had been landed in Lower Twin Lakes, by just a few ounces. Don’t let the simple name fool you, Twin Lakes Bridgeport are something special. 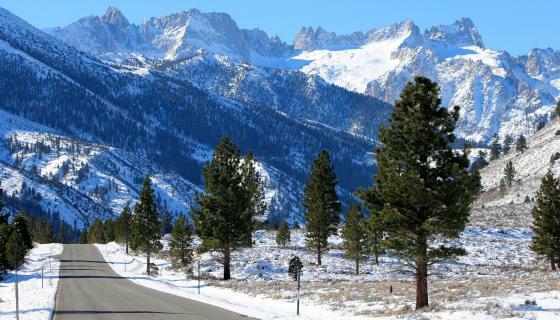 Directions: From Highway 395, take Twin Lakes Road for 10 miles to reach the start of the Twin Lakes Basin. There are loads of camping and cabin rental options in the Twin Lakes area. From Annett’s Mono Village at Upper Twin to the Twin Lakes Resort on Lower Twin to the short ride to the numerous hotels in Bridgeport, there are terrific options for everyone interested in spending time at Twin Lakes. Both Annett’s Mono Village and Twin Lakes Resort offer cabin rentals, a variety of camping options, general stores and boat rentals. 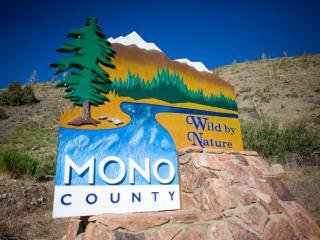 For more information, contact monovillage.com or call 760-932-7071; twinlakesresort.com or call 760-932-7751. The Lower Twin Lakes and Robinson Creek Campgrounds are also good options. Sites can be reserved online at recreation.gov or by calling 877-444-6777. Reservations must be made at least 4 days in advance. Directions: From Highway 395, take Twin Lakes Road for 10 miles to reach the start of the Twin Lakes Basin. Another four miles leads to the inlet of the Upper Lake. 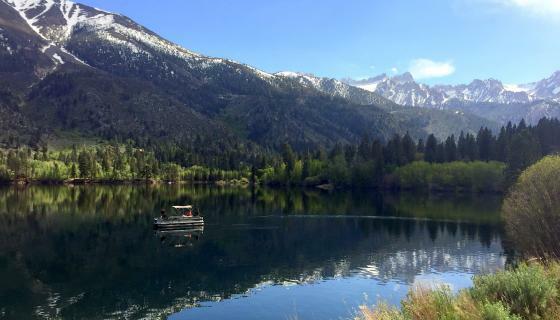 Twin Lakes is popular for its breathtaking views and family-friendly camping options, but it’s famous for its fishing. The last two state-record brown trout were landed in Twin Lakes, and every day of the season, folks are trying to top them. Both lakes are large and provide lots of fun for anglers who like to troll or spend days exploring new sections of water by boat. The well-stocked lakes are also very productive for shore casters. Besides offering some of the biggest brown and rainbow trout in the West, lucky anglers at Twin Lakes may also land brook trout (technically from the char species), native Lahontan cutthroat trout and kokanee salmon.